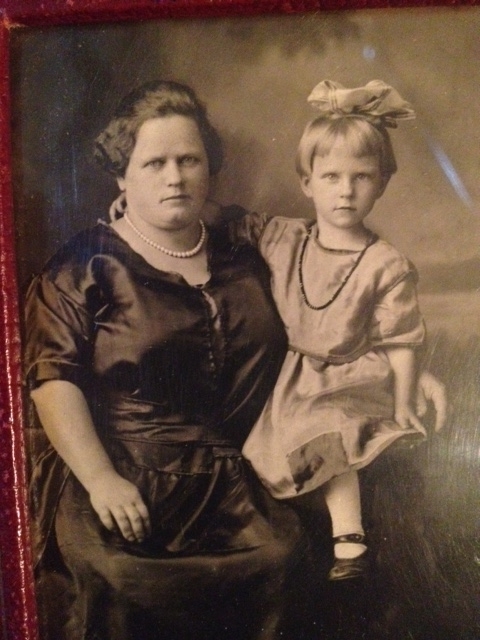 Lithuanian coal-mining families in Springfield at the turn of the 20th Century had many hardships–and virtues–in common. Hard work, faith and determination were necessary just to survive. As for the hardships…In addition to the loss of infants and children that many parents suffered, children often endured the loss of a parent. Fathers died or were disabled in the mines. And more often than today, young mothers died, too. After being widowed, spouses often re-married, creating a good number of blended families long before divorce was respectable or common. One of the oldest members of our Lithuanian-American community, Eleanora Treinis (Yuskavich), lost her mother, Tillie (Theophilia Rinkienve or Rinkavich), when Eleanora was just six to endocarditis (infection of a heart valve). 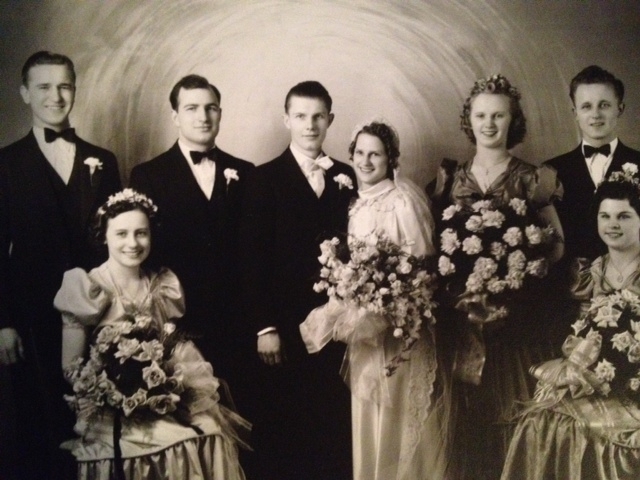 Born in Lithuania, Tillie had arrived in Springfield around 1911 and was working as a laundress and boarding at the St. Nicholas Hotel in downtown Springfield when she met John Treinis, a coal miner, also born in Lithuania, who came to the U.S. in 1908. After the couple married in 1912, Tillie continued working as a maid at the Leland Hotel, probably among other jobs. 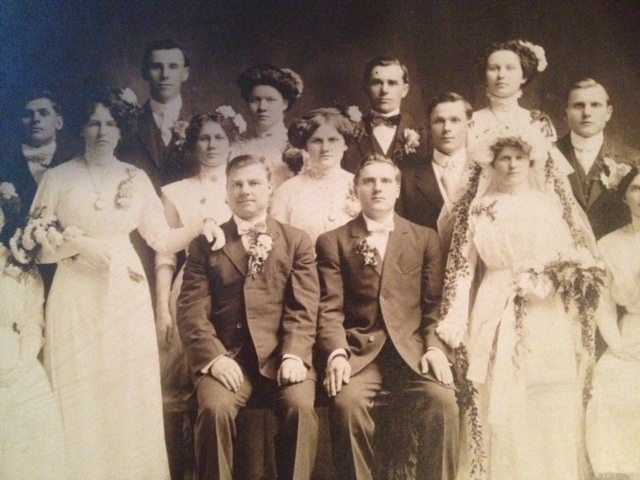 Not until 10 years after Tillie’s death did her widower John Treinis get re-married to Lithuanian immigrant Nancy Kensman, daughter of Antanas and Anna (Begaila) Kensman (Cachmiscus). As for Nancy, she previously had been married to a man named Nevada (Nevardoskus or Nevidauski), giving Eleanora a stepbrother (John). What’s more, after Mr. Nevada, Nancy had been married to Ignatius Zakar, giving Eleanor a step-sister (Ceceilia) and another step-brother (Joseph) who had been born to Mr. Zakar by a previous wife. This was an impressive amount of family “blending,” perhaps even for the time. However, unlike today when re-marriages seem to occur quickly, while children are still young, resulting in step-siblings living together, it’s clear that widower John Treinis postponed re-marriage until Eleanora was mostly grown. Basic economics, the number of children who needed to be parented, and the support of other relatives probably determined how soon a widower needed to re-marry. For widows, a quick re-marriage was often imperative to restore a male breadwinner to the household. 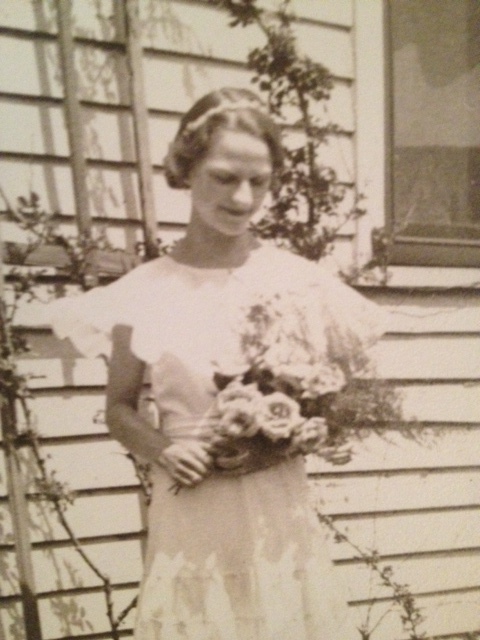 Eleanora Treinis, 14, in the wedding party where she met her future husband, John P. Yuskavich, Jr.
Eleanora remembers her stepmom Nancy from her later teens, when she and her father lived in rooms above a tavern around 16th and Carpenter that Nancy owned (probably inherited from deceased spouses Nevada or Zakar). Years later, Eleanora made step-brother John Nevada, a World War II veteran, godfather to one of her daughters. What we know about Eleanora’s father John Treinis is that he registered for the draft for World War I. He worked at the local Tuxhorn Mine and owned several of his own grocery stores, one at 1601 E. Converse and another at North Grand Ave. and Milton. 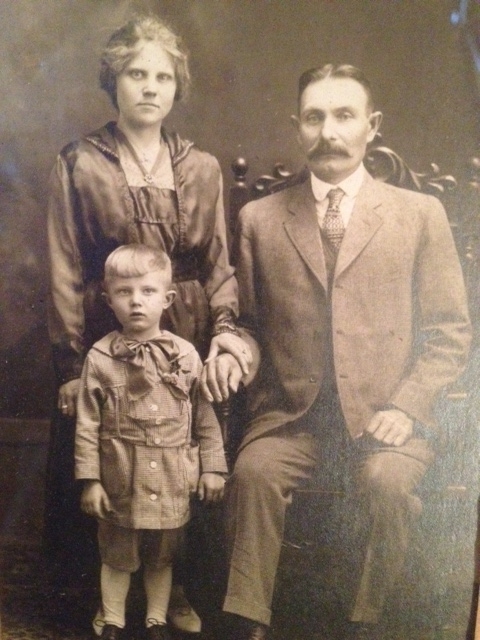 John P. Yuskavich, Jr. with his mother Stella (Kuizin) and father, John P., Sr. 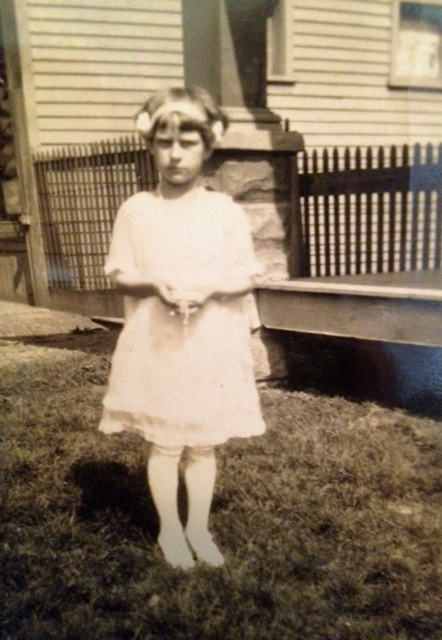 Daughter Eleanora always helped her dad in his stores, and she lived with him in quarters behind the storefront. One night after closing, during the heart of the Depression when Eleanora was just 13, she and her dad were robbed at gunpoint. Fortunately, neither of them was hurt. Over the years, John, Jr. and Eleanora worked hard to support their own family of two girls. Eleanora was an elevator operator at the Hotel Abraham Lincoln, first at the back of the hotel, then, by promotion, in the main front elevator. She was also a packer at Pillsbury Mills, and later, a full-time homemaker for John and daughters Pat (Yuskavich) Towner and Mary Ann (Yuskavich) Wycoff. John’s work history was particularly enterprising. After leaving school to mine coal, he worked at the Springfield International Shoe Factory, then in a steel mill in Indiana and the Depression-era Civilian Conservation Corps, then as a bus driver for the Springfield Mass Transit District, and finally for the U.S. Post Office in Springfield, where he started as a mechanic at the garage, rising to supervisor of the garage and drivers. 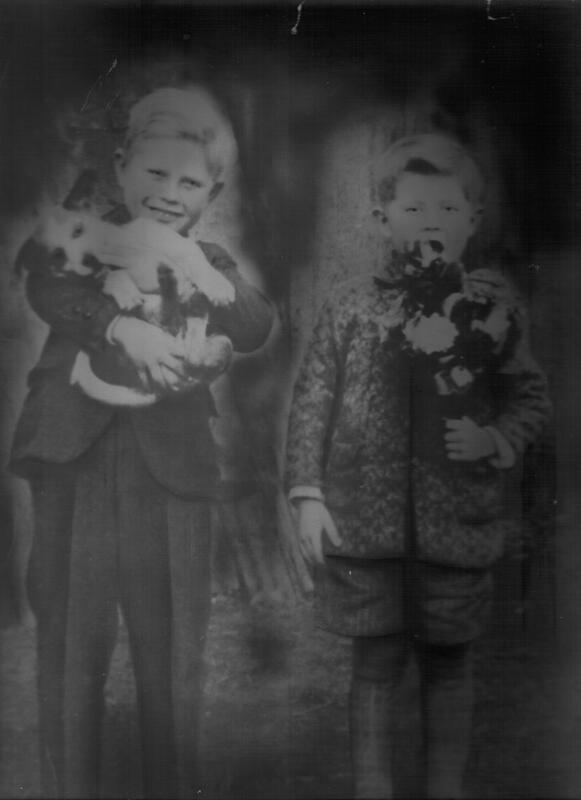 Little Yuskavich boys with puppy, flowers. Here’s the really enterprising part: While working for the Post Office during the day, John managed two gas stations at night, and also owned a truck for which he hired drivers to pick up the Illinois State Journal and Register newspapers each day at 2 a.m. and 2 p.m. (respectively) and drop off bundles to scores of newspaper boys for home delivery. In addition to her two daughters, Eleanora (Treinis) Yuskavich has grandsons Jason and Matthew Towner and granddaughter Robin Watts, as well as great-grandchildren Jordan and Jade Watts and Jonathan Towner. Robin Watts’ husband, Jim, recently started his own business, Watts Electric. 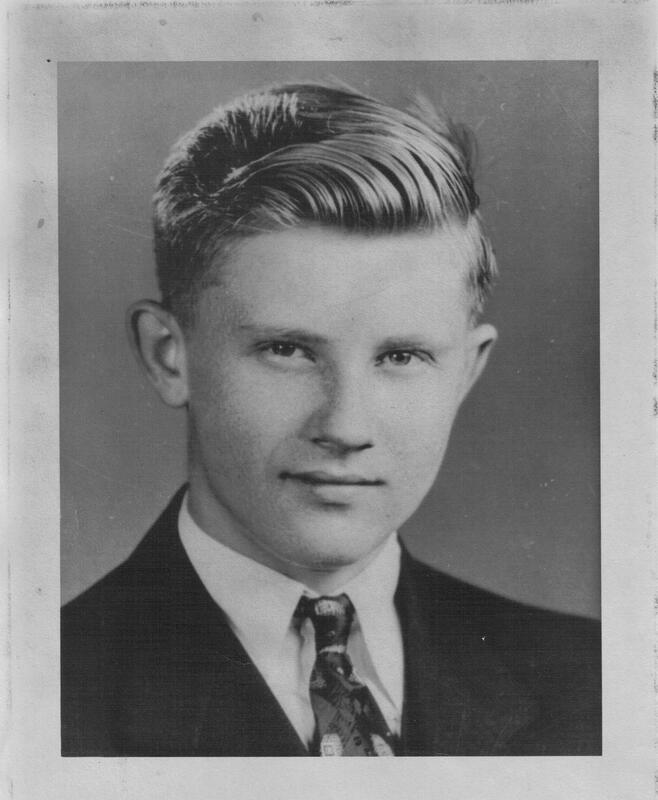 George Yuskavich portrait, 18 years old, circa 1940. I enjoyed reading your recent blogs. Are you going to write a book about all these stories? 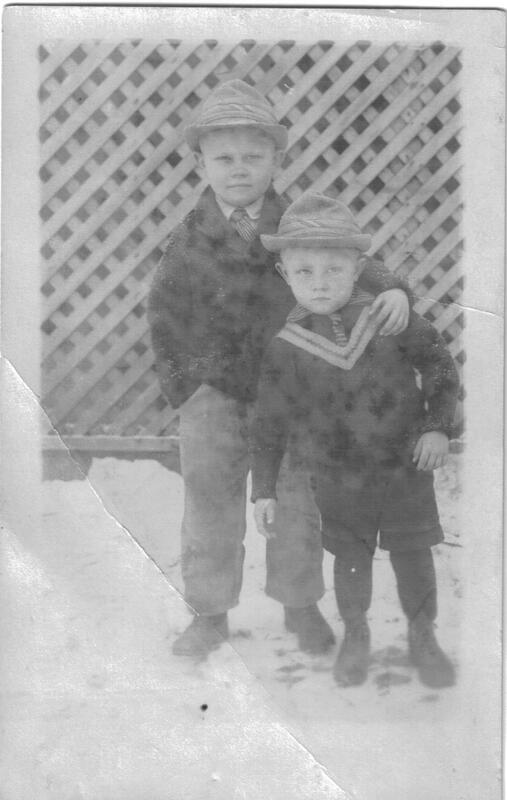 Remembering my dad and mom were close friends with Johnnie and Stella Nevada. Nevada was americanized from Nevardoskus(sp). They lived at Fairview, a little west of the I55 bridge, across the lake from where there was a KofC. We often visited the Nevadas in the summer by boat. Johnnie and Stella made their living from rental properties, one of which was a tavern on East Monroe, east of 11th. Remembering Johnnie later on worked for a US govt. agency on Washington at 2nd street. 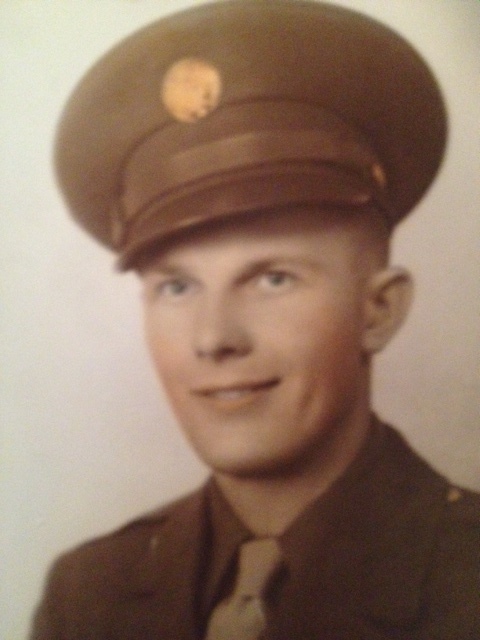 Johnnie was an army ski trooper in Italy in WWII. Remembering they had no children.